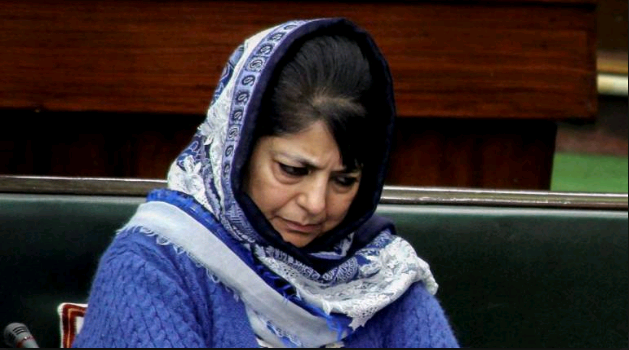 Srinagar: Former Jammu and Kashmir chief minister Mehbooba Mufti on Friday expressed concern over the "divisive discourse" taking prominent space in the country, saying it contributed negatively to the situation in the Valley. "It is unfortunate that the focus is on the things other than development and inclusive politics. The fact is that the youth of Kashmir get discouraged due to such a discourse and it contributes to their alienation and anger," Mehbooba said. The Peoples Democratic Party (PDP) president was addressing party functionaries of south Kashmir's Bijbehara and Srinagar's Zadibal here. The former chief minister asked the national leadership in the country to address the alienation of the state's people and listen to the clarion call of the present time. "The central government is duty-bound to address on priority the alienation of the people of the state, particularly the youth, and it cannot be done in the absence of a sustained political process," she said. She underscored the need of addressing the Kashmir issue through a meaningful dialogue, saying the external dimension of Kashmir needed to be addressed without any delay. The PDP president said the party had remained at the forefront to pitch for a dialogue and reconciliation between India and Pakistan, so that an era of peace and tranquillity is ushered and the people, already perturbed due to decades of violence, heave a sigh of relief. Mehbooba reiterated that the core philosophy of the PDP had been to make consistent efforts for peace and tranquility in the state.